Every month we have a different theme for our “Dog Of The Month”. In January, we gave away the honor of being "Dog of the Month" to someone that donated to our food Drive! Ripley, the boxer, was our random winner and received a photo shoot with Eva Noth Photography! Ripley is a regular face at doggy daycare and can often be seen playing in the Ruff House. Her parents adopted her a few years ago from the Minnesota Boxer Rescue and she loves to dance when you pet her! Thanks to Ripley's parents and all of our very generous customers that donated to our pet food drive this past holiday season!! See more pictures from the session by clicking here. We have teamed up with our good friend Eva Noth Photography to present "Dog of the Month". Each month we will have a different theme, and our staff will vote on who the best fit for the theme is. Any dog that comes to doggy daycare or spends the night in our hotel is eligible to become "Dog of the Month". In July our theme was "Best Lobby Greeter" and Mack, one of our employees dogs won! We would not normally pick a staff dog, but this was the first month of doing it. 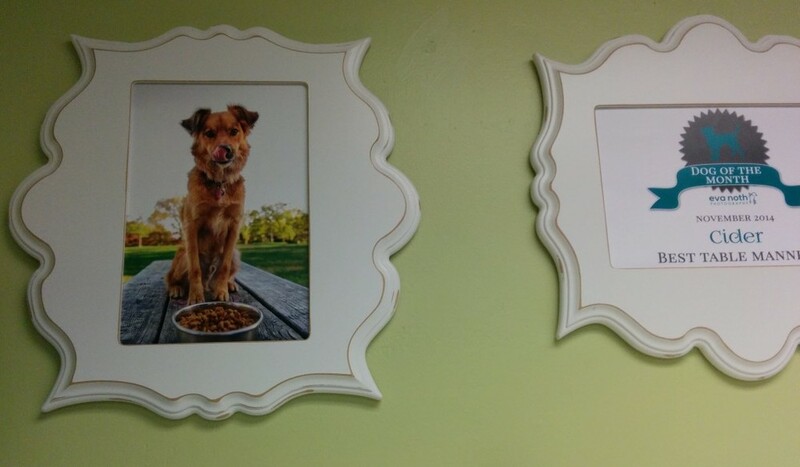 The winning dog gets the honor of their picture hanging in the lobby for the following month and they receive a free photo session with Eva Noth Photography! Mack is a Lab, Basset Hound, Visla mix that was adopted through Second Hand Hounds. Jess, our manager and Mack's doggy momma loves to outfit Mack with stylish bandannas and collars. Jess and Mack have also been known to have matching bandannas! Next time you stop in, Mack will give you a great greeting in the lobby! You can contact Eva Noth Photography by Clicking Here or calling 612-217-0579.